Sexual harassment can take different forms, some of which are very subtle. Hostile work environment cases are complicated and may raise issues such as a free-wheeling or raucous culture in the work environment. Luckily, Attorney Vivian McPayah-Obiamalu and her affiliated associates at VMCPO Law Firm know that unwanted sexual advances or lewd behaviors are not acceptable under any circumstances, even if they are not coupled with inducements or threats. We represent both employers and employees in sexual harassment cases. We have been advising and representing employers for many years now. We review their harassment policies and make necessary recommendations for improved litigation protection and compliance. After establishing workplace policies, we can educate the human resource department and supervisors on effectively dealing with harassment claims. It is also crucial to quickly and thoroughly investigate complaints Employers should also seek to implement immediate corrective action, as necessary. An Effective investigation not only limits but is an effect defense to liability in a sexual harassment or retaliation lawsuit. 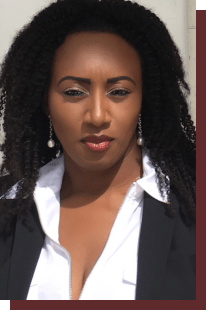 Attorney Vivian McPayah-Obiamalu and their affiliated associates at VMCPO Law Firm are experienced and can provide effective legal consultation and investigation. Services for Employers deals with employee sexual harassment claims. For cases involving Sexual Harassment whether as the plaintiff or defendant, we encourage you to know your rights and will evaluate your case with due consideration to preserving your integrity and reputation. We have handled numerous sexual harassment cases and have always prioritized the protection of our client’s rights and their dignity over the whole process. There is no need for victims to just grit their teeth and deal with sexual harassment. The act is a violation of state and federal law and our attorneys can help victims. We can help sexual harassment victims. VMCPO Law Firm will carefully explain options to our clients and help them understand the compensation available to them. If you need an experienced employment attorney, contact VMcPO Law Firm.